A musical about teens in love in the 50's! It's California 1959 and greaser Danny Zuko and Australian Sandy Olsson are in love. They spend time at the beach, and when they go back to school, what neither of them knows is that they both now attend Rydell High. 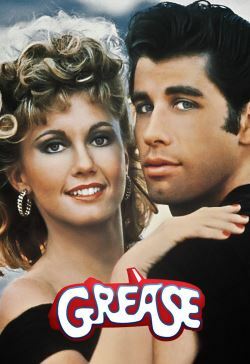 Danny's the leader of the T-Birds, a group of black leather jacket-wearing greasers while Sandy hangs with the Pink Ladies, a group of pink-wearing girls led by Rizzo. When they clash at Rydell's first pep rally, Danny isn't the same Danny from the beach. They try to be like each other so they can be together.